From the biggest cities to the smallest towns, our professionally-trained team of technicians provides commercial, residential, and auto locksmith services throughout the province. 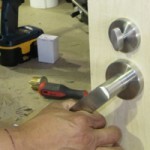 Ontario businesses in need of a locksmith should look no further that FC Locksmith. We’ve helped an array of businesses with an assortment of tasks, from door and lock installation to post-burglary repair. As well as offering traditional locksmith services, we also provide state-of-the-art security assistance, including the installation and maintenance of alarm systems as well as complex master key systems. When it comes to aiding the people of Ontario, we believe that no job is too big or too small. Whether you need a key cut or an electronic garage door installed, FC Locksmith can assist. We also provide a wide-spread security evaluation service – either following a break-in or as a preventative measure – that establishes how much, if any, extra security you require. Installation of such security features as deadbolts, peepholes, and security chains, can also be arranged. In the event that you have trouble with the locks of your automobile, FC Locksmith can again assist you. 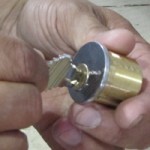 Our team is trained at key extraction and trunk opening, as well as in transponder key programing. If you find yourself locked out, be it from your home, place of work, or vehicle, we can help you also. Our locksmiths are able to regain entry to any of the above, in most cases without causing any damage. What’s more, this and everything else on offer is available on an emergency basis if necessary. FC Locksmith is available 24 hours a day, seven days a week. Our out-of-hours service is also available on all public holidays and across the festive period.